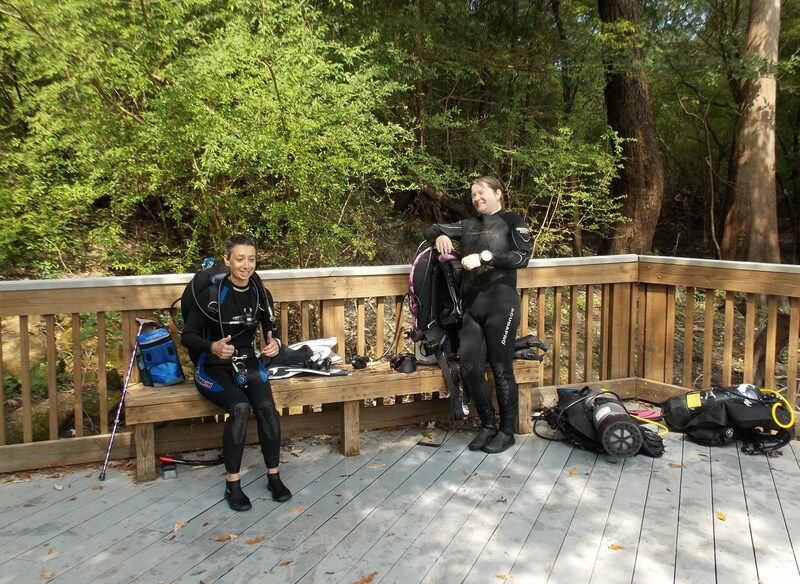 Scuba Diving buddies Darlene (on left-and giving the double thumbs-up with a great smile) and Beverly (also happy with a beautiful smile) because they just finished their first dive together and had a great time! These women know how to have fun! Now for the second dive of the day! New dive buddies. Much enthusiasm. Lots of fun. Thanks Darlene.